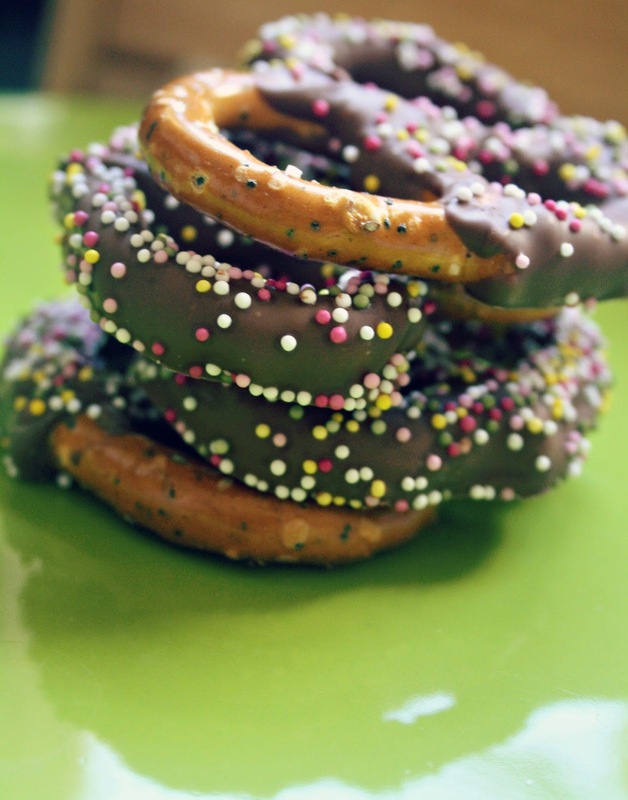 Ooooo I'm so obsessed with chocolate and sprinkles at the moment. 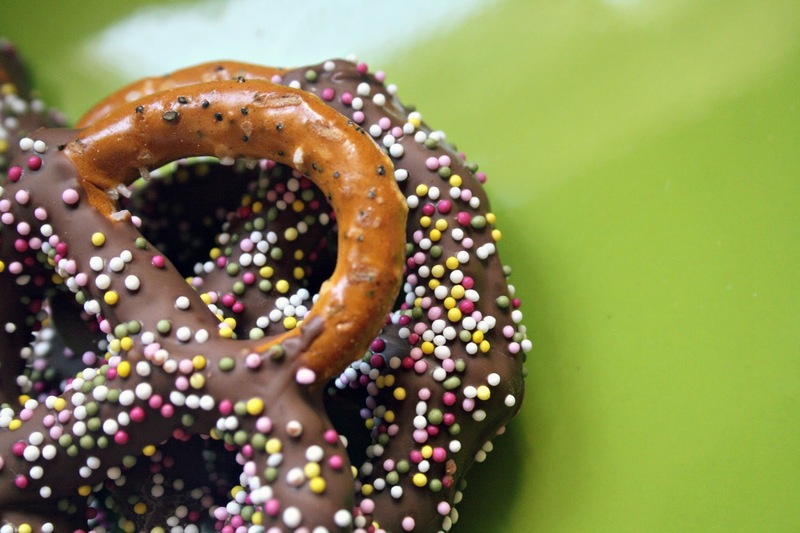 Constantly wondering which simple treats I can make next. 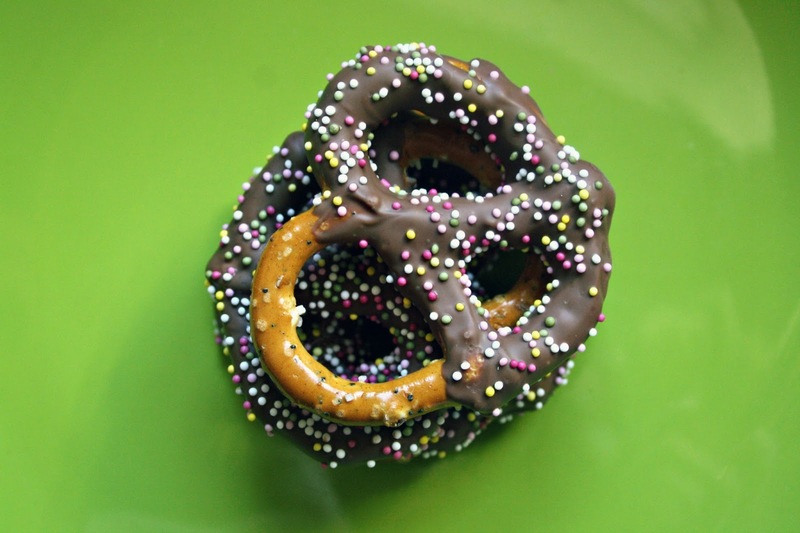 I love that so many things can be dipped, rolled or covered in chocolate and then dipped in sprinkles, or sprinkled with sprinkles. Again with Charles' birthday coming up and a family BBQ on Sunday I wanted some sweet nibbles to put on the table. 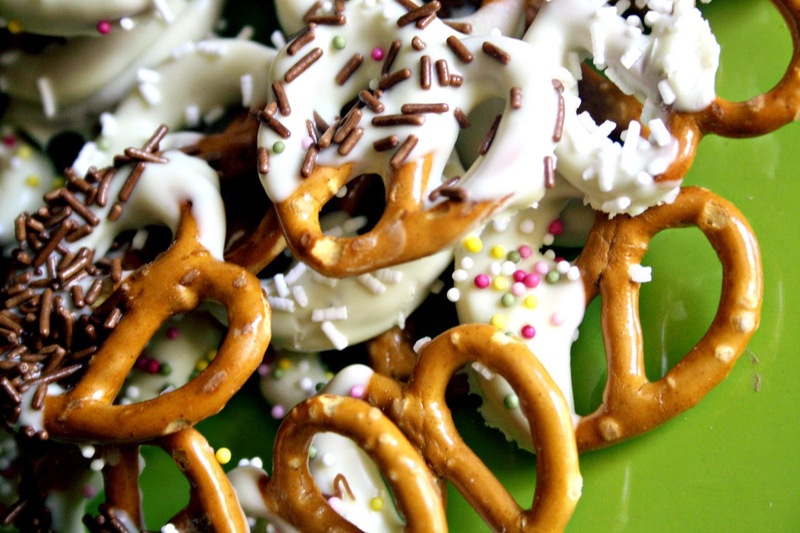 Pretzels seemed like a simply, easy and fun. Which they are, although they are rather fiddly and time consuming. 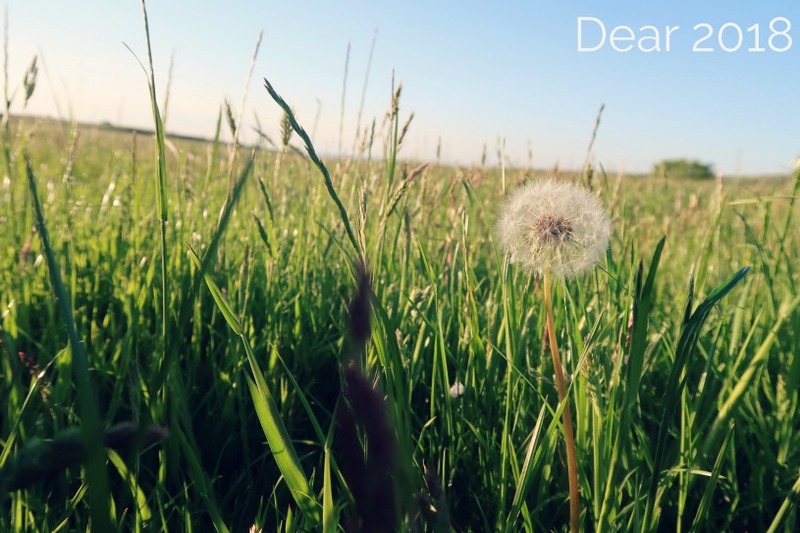 But the time is worth it. 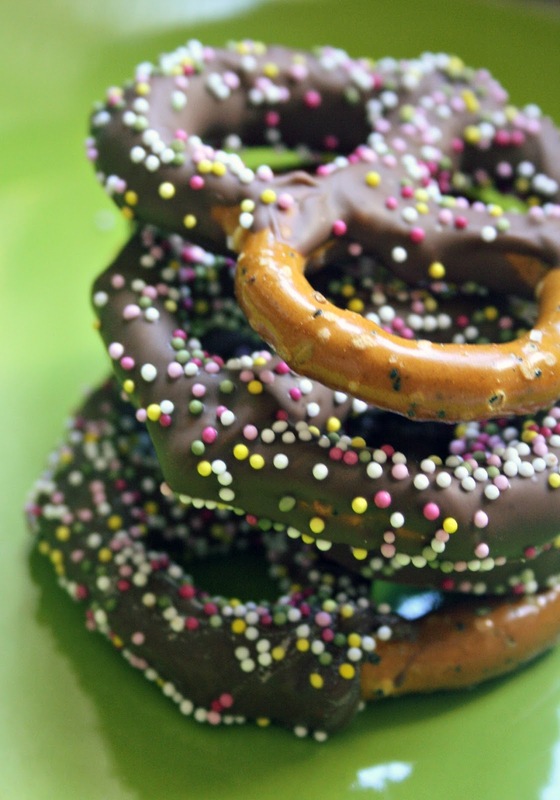 The milk chocolate Pretzels are amazing. Really AMAZING. 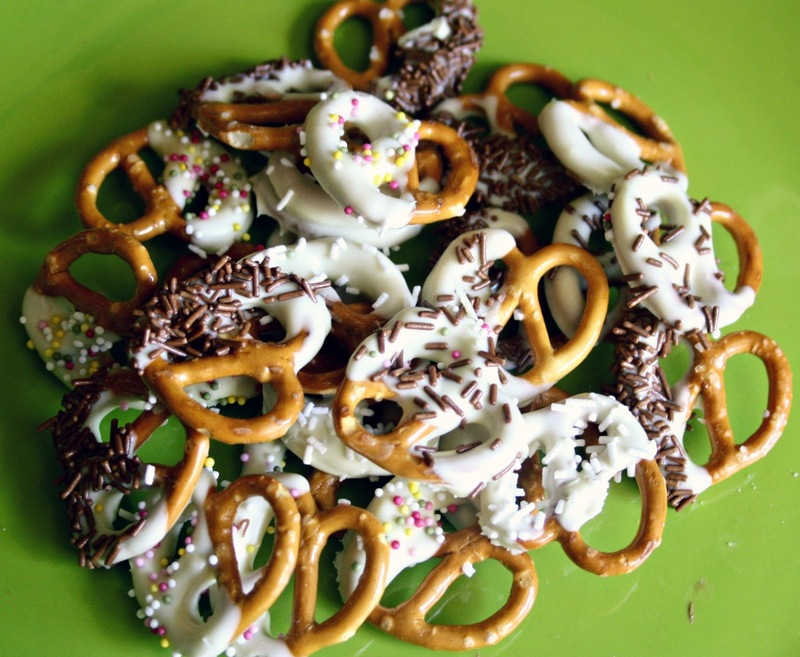 Pretzels (I used a bag of small and a bag of large) I highly recommend the highseed pretzels from Sainsburys. mmmm. All you do is melt the chocolate. 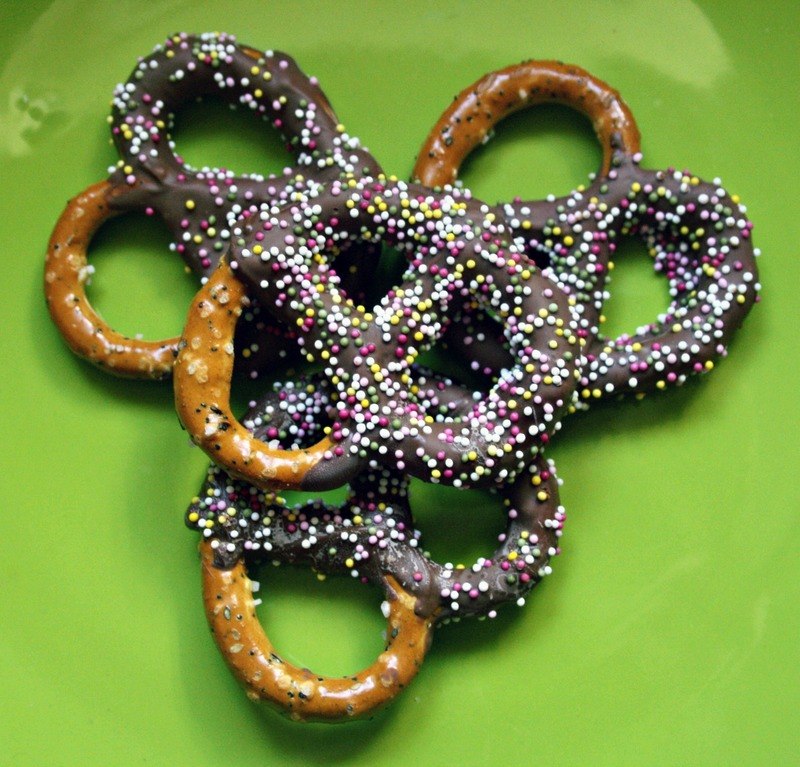 Then dip your pretzel in, I only over 3/4 of our pretzels because I thought they looked effective like this, but also it was less messy to eat them as you don't get chocolate left on your hand. 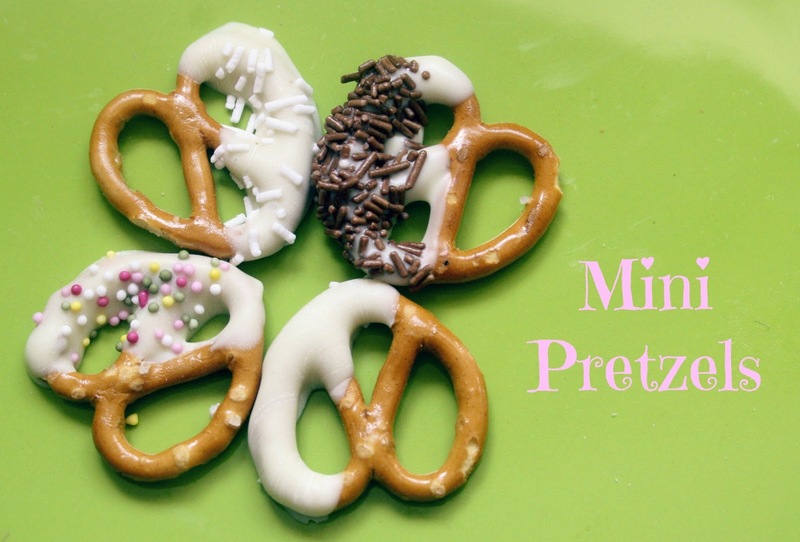 You need to just roll the pretzels in the air a little, just to let any excess chocolate drip back into the bowl, the either dip into a bowl of sprinkles then place on greaseproof paper, or place straight onto greaseproof paper and then sprinkle your hundred and thousands on top. Leave until the chocolate until it sets and then BOOM.